(The listing is in order of votes received by each candidate as a percentage of the votes cast by the eligible members of the Community). In accordance with the Constitution of the Armenian Community Council of the United Kingdom, the elected members must be invited to take office after at least two weeks have elapsed following the date of elections, and the current Council has scheduled Thursday, the 12th of July, 2018, to hand over to the newly elected Council. 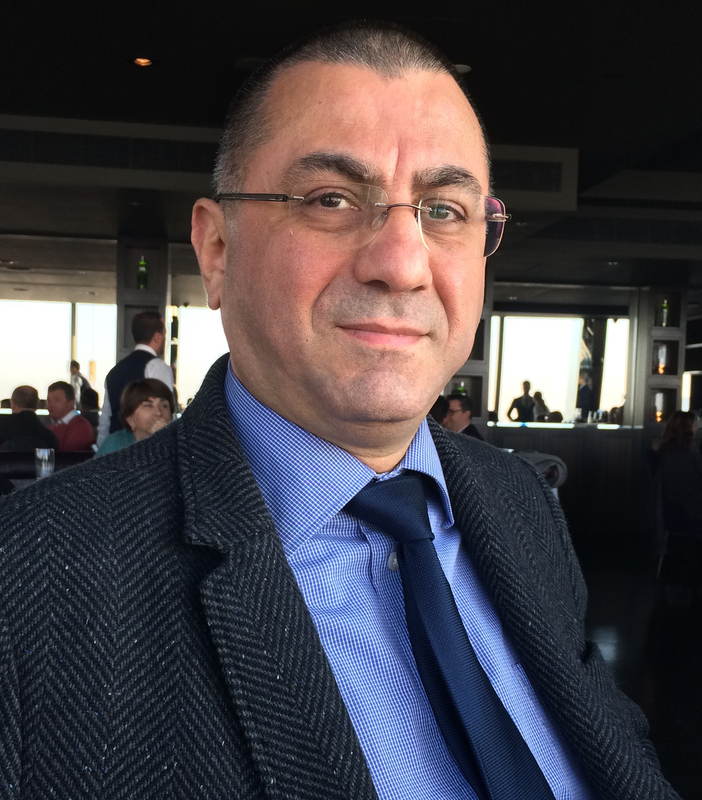 Mr Raffi Sarkissian, Member of the Armenian Community Council of the United Kingdom and Chairman of the ACC UK’s Campaign for the Recognition of the Armenian Genocide Committee (CRAG) had a long and comprehensive interview on Revelation British Television – Sky Network – on the 24th of April, 2017. The highly informative interview was an in depth discussion about international recognition of the Genocide of 1,500,000 ethnic Armenians in Ottoman Turkey. TO WATCH THE FULL INTERVIEW, PLEASE CLICK HERE AND CLICK ‘OPEN IN NEW FRAME’ IF ASKED. 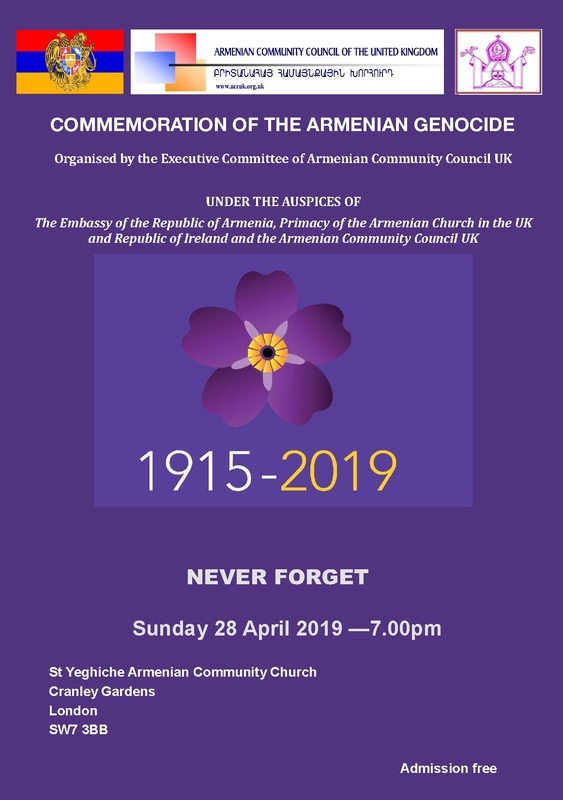 STEPHEN POUND MP : In U.K. Parliament, House of Commons, Member of Parliament Stephen Pound calls for Recognition of Armenian Genocide and Commemoration of its Centenary. THE GENOCIDE AGAINST THE ARMENIANS 1915-1923 AND THE RELEVANCE OF THE 1948 GENOCIDE CONVENTION – A Legal Opinion Paper by renowned authority on International Law, Professor Alfred de Zayas. PLEASE CLICK THIS LINK TO READ FULL ARTICLE. K Tahta Armenian Community Sunday School’s Governing Body and Headteacher are looking to appoint an enthusiastic, committed and motivated Western Armenian teacher to join our school. We are a warm, friendly school and are seeking to appoint someone who is highly motivated, enthusiastic and has a passion for teaching and learning and is fluent in reading, writing and speaking in Western Armenian. Since the establishment of the Turkish Republic, state discrimination against the Armenian community – and generally the non-Muslim minorities – has been institutionalized and systematically used towards the detriment of the target minorities. Hratch Tchilingirian’s newly published research article on the Armenians in Turkey provides a new perspective and analysis of the contemporary life of the community in the last five decades and offers new insight into this segment of the Armenian nation. The article comes at a time when Armenians in Turkey are in the process of getting ready to elect a new Patriarch. Tchilingirian analyses the internal dynamics of the community and highlights several sociological concepts that are useful to the understanding and analysis of the Turkish state’s and society’s treatment of the Armenians today. He pays particular attention to state policies and public discourses that shed light on the current unenviable situation of the community. Twyford Church of England School,Twyford Crescent, Acton, London W3 9PP. Twyford Church of England School, Twyford Crescent, Acton, London W3 9PP. The Sunday School offers parallel classes both Eastern and Western Armenian to pupils aged between 3 and 16 years old, and it is composed of the following three sections: (1) Nursery Section (two years), (2) Pre–academic Section (two years), and (3) Academic Section (nine years). 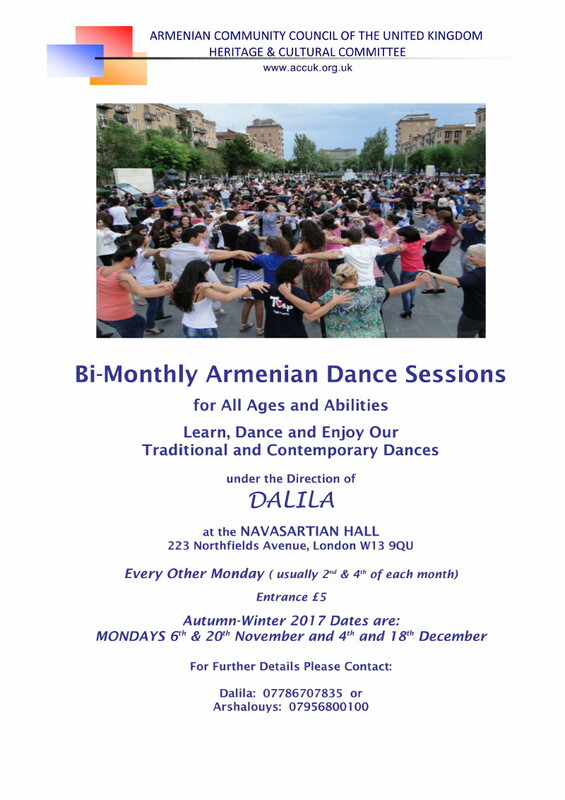 Classes are also offered to adults wishing to learn either Eastern or Western Armenian. The Sunday School’s curriculum covers various aspects of the Armenian language, namely reading, writing, conversation and grammar. Pupils are also taught about important events in the Armenian history, Armenian rich culture and they learn Armenian songs and dances. 2015-2016 academic year on Saturday 12th September 2015. Studies start at 9:00 am and finish at 12:30 term time only. All Armenian children aged 3-16 are welcomed to join our school. 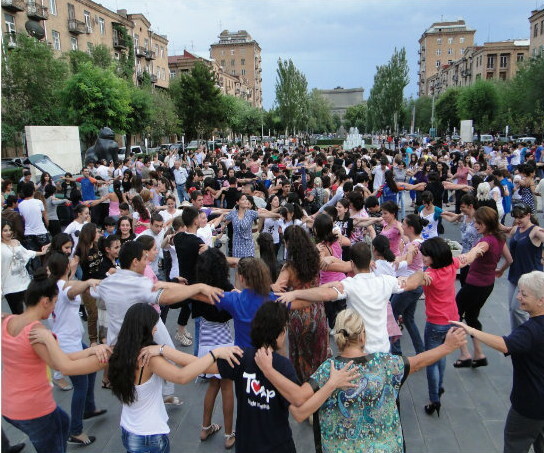 All teachers are working tirelessly to educate the students with a profound understanding of Armenian language, history and culture, so that children learn about not only their language, but also grow confidently and proudly as Armenians understand their heritage and culture and work with the best of their ability to become reliable and resourceful individuals to serve their community and have their input in flourishing our country, Armenia.